MYRTLE BEACH, South Carolina (WTVD) -- A North Carolina mother is searching for her missing daughter in South Carolina after receiving multiple messages that she is dead. 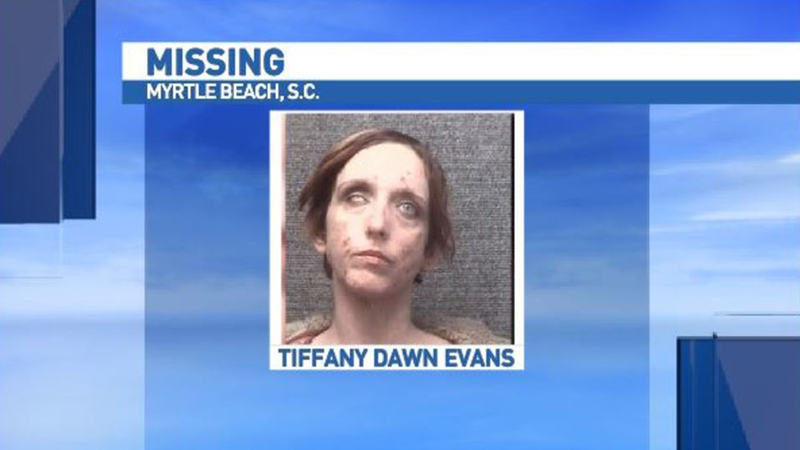 According to WLOS, after Crystal Evans contacted authorities in Horry County, she was told no deaths had been reported of anyone matching the description of 30-year-old Tiffany Dawn Evans. Police in Myrtle Beach said they hadn't picked her up recently. She is known to the department because of previous arrests for prostitution and drug use. Evans last spoke with her daughter on January 7, 2018. Since then, several people have texted and called her saying that Tiffany died of an overdose. On Friday, she drove down to South Carolina and has met with police who are searching for Tiffany.